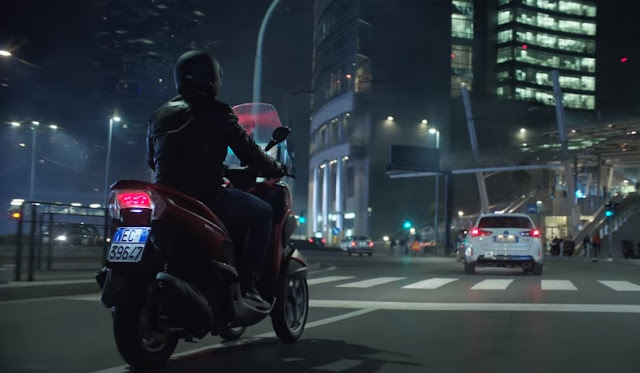 Part of the global “Launching People, Mixed Talents” campaign, Smart Windshield allows motorcyclists to connect their smartphones to their vehicle providing a windshield displays including GPS navigator, text messages, emails and voice calls. They can choose to stop and answer, or send an automated “I’m driving” message reply. Samsung partnered with Edo Mossi, a rally and motor-cross rider, and Matteo Bruno aka Cane Secco, a YouTube star, to develop Smart Windshield. Yamaha provided the Tricity 125 scooter to be fitted with the device.